Renal Fellow Network (RFN) is thrilled to announce a partnership with the American Society of Nephrology (ASN). This partnership marks the beginning of a new chapter for RFN and we hope will accelerate growth and allow for expansion and diversification of RFN’s content and contributors. The RFN/ASN collaboration will also involve updating of the current website. Check out our recent editorial in CJASN discussing the past and future of RFN. What is RFN? 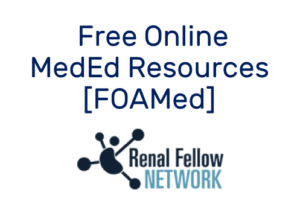 RFN is a website originally started in 2008 by the late Nate Hellman who at the time was a fellow at the combined MGH/Brigham fellowship program. 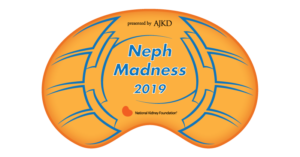 RFN was intended to be a place where nephrology fellows could post interesting pieces of information about anything and everything related to nephrology. Over 1500 posts have been published with a wide variety of contributors (~150). Who can contribute to RFN? We are interested in hearing from any trainee who is interested in the field of nephrology. From medical students, to residents, to PhD students, to post doctorates, to fellows, both adult and pediatrics. If you have an interesting conference or course that would be of interest to fellows or trainees we would be happy to review for potential posting. We do not accept commercial posting of goods or products. What does the collaboration with ASN mean for RFN? The partnership with ASN will allow RFN to continue giving fellows and early career trainees a place to share and discuss issues relevant to nephrologists/scientists in training. The collaboration will allow for trainees to get involved in ASN and nephrology outside of their own institution. RFN co-editors will serve a 2-year term as interns on the ASN Media and Communications Committee. See below for more information. This will allow fellows to have a direct impact on how ASN communicates with trainees. The partnership will also feature closer integration with ASN Communities and host highlights from popular discussions. RFN will continue to post information about conferences, grants, and courses. Lastly, RFN will get a much needed makeover, a new logo and a move from Blogger to WordPress. How are posts solicited? If you are interested in posting on RFN send your post to the RFN email or you can directly contact any of the faculty advisors or editors. The editors and faculty advisors will help you edit content. For information about length, figures, etc. click here. How can I become a RFN trainee editor? Get involved, write posts. Each year a new RFN editor will be solicited by the ASN Media and Communications Committee. Post doctorates or nephrology fellows (peds or adults) will be eligible to be selected to serve as co-editors of RFN. The only requirement is that you are a fellow or postdoctoral fellow at the time of application. The selected fellow will serve a 2-year term which can span beyond fellowship. What type of content is RFN interested in? We are interested in a variety of topics. Our advice is to write about new aspects nephrology you are learning while rounding or in the clinic or the lab. If you are a student, maybe a new concept that you finally mastered. Summarizing recent or seminal research articles can also make for a compelling blog post. If you write up a case, editors and faculty advisors will work closely with you to ensure no patient information is shared. How do I become a faculty advisor? Contact Matt Sparks or Gearoid McMahon if you are interested in becoming a faculty advisor. It is a great way to interact with the next generation of nephrologists. Get involved. Become a contributor or a faculty advisor.